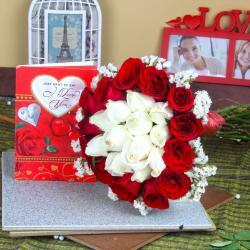 Product Consist : 25 Red and White Roses Bouquet, Assorted Dry Fruits (Weight : 500 gms) along with Love Greeting Card. Love Is All Around for perfect pick to make your lover blush with your bountiful love and affection with Love Greeting Card with Exclusive Roses Bouquet and Assorted Dry Fruits. Looking for fresh roses/gerberas ??? that are bright, beautiful, and ready to bloom for your occasion. Enjoy this lovely day with special gift like Love Greeting Card with Exclusive Roses Bouquet and Assorted Dry Fruits full of joy and romance, for sure your lovers will say thanks to you for creating such a beautiful moments for her or him. Flowers can be gifted for plentiful reasons and each has its own meanings as well & special thing is with one mouse click you can order. It is very special to know the love and care hidden behind an introvert person so make the same feelings of happiness for your partner this is a simple reason to make believe to your partner how much special he or she is for you. 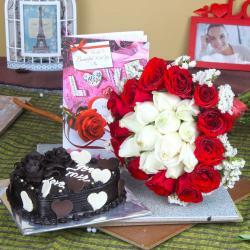 This gift combo should be the best bet for Valentine's Day, Birthday, Anniversary and Many more.. 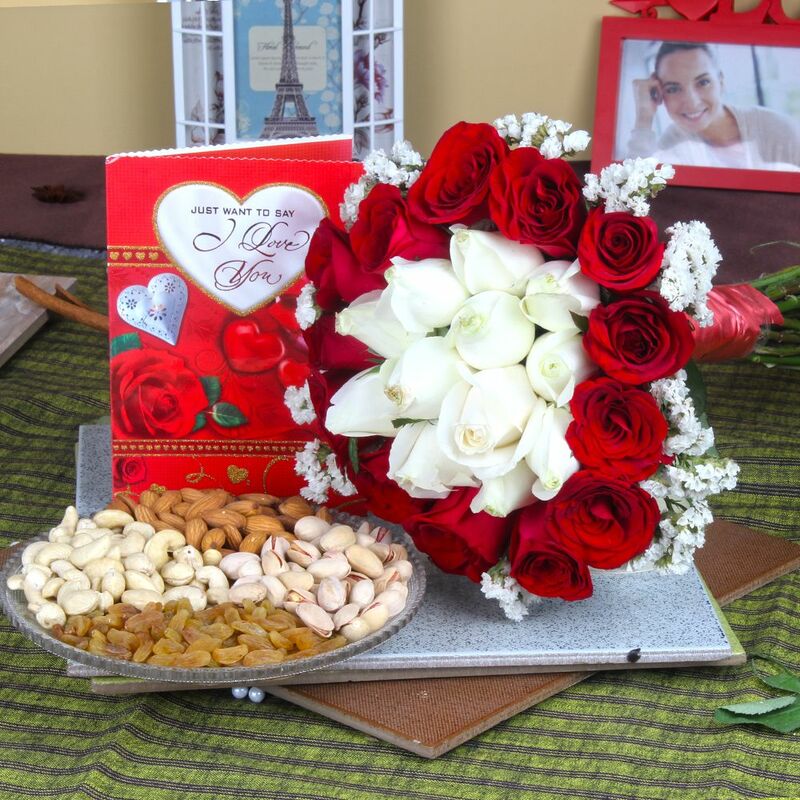 If you are looking for some exotic Valebtine's Hampers like Love Greeting Card with Exclusive Roses Bouquet and Assorted Dry Fruits for your dear ones, friends and family, then head to Giftacrossindia.com the largest variety gifting store of India. Browse your favorite products, it is very conveniently available for online shopping from anywhere in India with Same Day Delivery option. 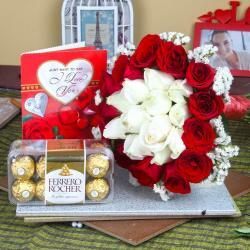 Product Includes : 25 Red and White Roses Bouquet, Assorted Dry Fruits (Weight : 500 gms) along with Love Greeting Card.